GREENR now available for access! The College of Engineering library is now subscribing to GREENR (Global Reference on the Environment, Energy, and Natural Resources). A new, authoritative online resource that focuses on the academic study of sustainability and the environment. From topics like food safety to the impact of economic development on international relations, today’s important environmental issues are shaping the future and reach far beyond the United States. GREENR helps information-seekers understand emerging GREEN technologies, issues around the environment and sustainability. The database is accessible via http://www.engglib.upd.edu.ph/index.php/resources/e-resources/subscriptions. within the UP Diliman only. 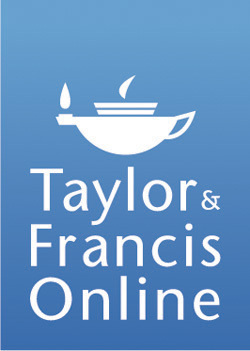 Taylor and Francis Online now on trial! We’d like to announce that EnggLib will be offering access to Taylor and Francis Online on a trial basis until 31 March 2012. This database is accessible via www.tandfonline.com within the UP Diliman Network (DILNET). Remote access is available for UP Engineering students and faculty; please contact us for more information. An online tutorial is also available here. For inquiries and further information, contact us at 981-8500 local 3142 or 3251, or e-mail us at library@engglib2.upd.edu.ph. You may check out other databases on trial by clicking here. Leading Database on Mining Research and Technology Now Available at EnggLib! OneMine.org., the unique online library that brings technical documents, conference papers, articles, pre-prints and late papers on mining research and technology into one search engine and location, is now available for trial. It will be officially subscribed by the College of Engineering Library this coming January 2012. The resources available in this database can be downloaded in pdf format. Many other forms of research documentation will also be added in the future such as Power Point presentations and video clips. OneMine is a collaborative effort among multiple societies that includes The Society for Mining, Metallurgy, and Exploration (SME), The American Institute of Mining, Metallurgical, and Petroleum Engineers (AIME), and The Australian Institute of Mining and Mettalurgy (AusIMM). If you need assistance or for feedback regarding this database, please e-mail us at library@engglib1.upd.edu.ph or at library@engglib2.upd.edu.ph or call 981-8500 local 3143 (EnggLib1) or 3251 (EnggLib2). The Journal of Nanomechanics and Micromechanics is the latest addition to the ASCE digital library’s list of journal publications. As a current subscriber, this new journal is automatically added to the list of ASCE electronic journals that can be accessed by UP. Interested individuals may browse the maiden issue of the Journal at http://ascelibrary.org/nmo/resource/1/jnmoco. The ASCE Digital Library can be accessed at http://ascelibrary.org. Proxy connection to the DILNET is required. Author Charles E. Bakis, Ph.D. Author Charles T. Jahren, Ph.D. The Journal of Construction Engineering and Management publishes quality papers that aim to advance the science of construction engineering, harmonize construction practices with design theories, and further education and research in construction engineering and management. Topics include, but are not limited to, the following: construction material handling, equipment, production planning, specifications, scheduling, estimating, cost control, quality control, labor productivity, inspection, contract administration, construction management, computer applications, and environmental concerns. Author Raymond A. Ferrara, Ph.D. The Journal of Environmental Engineering presents broad interdisciplinary information on the practice and status of research in environmental engineering science, systems engineering, and sanitation. Papers focus on design, development of engineering methods, management, governmental policies, and societal impacts of wastewater collection and treatment; the fate and transport of contaminants on watersheds, in surface waters, in groundwater, in soil, and in the atmosphere; environmental biology, microbiology, chemistry, fluid mechanics, and physical processes that control natural concentrations and dispersion of wastes in air, water, and soil; nonpoint-source pollution on watersheds, in streams, in groundwater, in lakes, and in estuaries and coastal areas; treatment, management, and control of hazardous wastes; control and monitoring of air pollution and acid deposition; airshed management; and design and management of solid waste facilities. A balanced contribution from consultants, practicing engineers, and researchers is sought on engineering solutions, and professional obligations and responsibilities. Author Rao Y. Surampalli, Ph.D. Publisher ASCE & American Society of Civil Engineers. The Practice Periodical of Hazardous, Toxic, and Radioactive Waste Management (to be renamed Journal of Hazardous, Toxic and Radioactive Waste in 2011) publishes peer-reviewed original articles on all aspects of research, planning, development and management of hazardous, toxic, and radioactive waste (HTRW). These include the traditional areas of research, design, control, restoration/remediation, construction, planning, detection/analysis, oversight, operations, regulations and policy. The Journal offers articles with both fundamental research and practical approaches/solutions to the problems and challenges faced by engineers, scientists, process managers, practicing professionals, researchers, contractors, and government policymakers. Author Terry W. Sturm, Ph.D. Author Vijay P. Singh, Ph.D. Author Daene C. McKinney, Ph.D. The Journal of Water Resources Planning and Management reports on all phases of planning and management of water resources. The papers examine social, economic, environmental, and administrative concerns relating to the use and conservation of water. Social and environmental objectives in areas such as fish and wildlife management, water-based recreation, and wild and scenic river use are assessed. Developments in computer applications are discussed, as are ecological, cultural, and historical values. Author Musharraf M. Zaman, Ph.D. Specific topics covered include numerical and analytical methods; constitutive modeling including elasticity, plasticity, creep, localization, fracture and instabilities; neural networks, expert systems, optimization and reliability; statics and dynamics of interacting structures and foundations; liquid and gas flow through geologic media, contaminant transport and groundwater problems; borehole stability, geohazards such as earthquakes, landslides and subsidence; soil/rock improvement; and the development of model validations using laboratory and field measurements. Author Jonathan P. Stewart, Ph.D. Leadership and Management in Engineering, a publication of the Committee on Professional Practice, examines contemporary issues and principles of leadership and management. The focus is on understanding and application of these principles through a variety of venues within the publication, including news, brief and concise leadership and management “nuggets,” and short articles of interest to practicing professionals in a variety of roles and industry segments. The focus includes, but is not limited to, individuals and public and/or private entities, small and large projects, and organizations. Areas of interest are: leadership; teamwork; communications; team building; decision making; partnering; project management; mentoring; coaching; diversity; department, branch, and office management; professional practice and development; budgeting; financial management; productivity management and tools, including motivational theory, incentives, and feedback techniques; globalization; networking; change management; role and involvement in political process; local-, state-, and national-level legislative and regulatory issues; and economic and environmental sustainability. The mission of the Journal is to serve as the technical reference and resource for construction lawyers engaged in public and private practice, as well as for design engineers, construction engineers, and executives responsible for successful project administration. The Journal provides thought-provoking discussions and insight into the legal relationships arising out of the changing nature of project delivery systems, dispute avoidance and resolution, sustainability concerns, and effective project execution. The Journal will focus on legal issues, aim to increase the attention given to legal systems during engineering and construction practice, and seek excellence in the application of legal resources for the success of engineering and construction projects. The Journal accepts papers and articles spanning legal issues and litigation pertaining to all areas of engineering and construction, including contract law and interpretation; professional liability and negligence; public bidding law and regulation; negotiation, mediation, arbitration, and alternative dispute-resolution systems; tort and insurance law; workers’ compensation; environmental law and compliance; sustainability and climate change; acts and statutes governing design and construction of public or private projects; state and federal hazardous waste law; maritime, coastal, and ocean law; real estate development and construction law; product liability; labor and employment law; administrative law; government contracts; corporate and bankruptcy law and regulation; claims analysis, defense, and litigation; intellectual property law; land-use law; ADA and OSHA compliance law and regulations; ethical violations giving rise to liability; and the teaching of law to engineers and construction managers. Author Norbert J. Delatte, Ph.D. The Journal of Professional Issues in Engineering Education and Practice presents issues of broad professional interest and diverse views of engineering education, and professional practice. Papers examine the relationships between civil engineering and other disciplines and professions, with emphasis on the engineer’s and constructor’s obligations and responsibilities. Topics include engineering education at all levels, professional practice issues, ethics, and history and heritage. The Journal of Bridge Engineering publishes papers about all aspects of the art and science of bridge engineering. The journal publishes research that advances the practice and profession of bridge engineering and papers about issues, projects, materials, design, fabrication, construction, inspection, evaluation, safety, performance, management, retrofitting, rehabilitation, repair, and demolition. The Practice Periodical on Structural Design and Construction publishes articles about practical solutions to structural design problems and construction challenges of interest to practitioners. Articles may be of any length. Those reporting on small and medium-sized projects will be welcomed. Photographs are desirable; graphs, tables, and lengthy formulas are discouraged. The editors are not interested in what researchers have to say to one another; although articles must be technically sound, the overriding question in the editors’ minds when considering a submission is whether the article will be of interest to a significant number of practicing engineers and contractors. The Journal of Structural Engineering reports on fundamental knowledge that contributes to the state of the art and state of the practice in structural engineering. Authors discuss the art and science of structural design; investigate the physical properties of engineering materials as related to structural behavior; develop methods of analysis; and study the merits of various types of structures and methods of construction. The Journal of Transportation Engineering contains technical and professional articles on the planning, design, construction, maintenance, and operation of air, highway, rail, and urban transportation, as well as pipeline facilities for water, oil, and gas. Specific topics include airport and highway pavement maintenance and performance; management of roads, bridges, and transit systems; traffic management technology; construction and operation of pipelines; railway engineering; and economics and environmental aspects of transportation. The Journal of Urban Planning and Development covers the application of civil engineering to such aspects of urban planning as area-wide transportation, the coordination of planning and programming of public works and utilities, and the development and redevelopment of urban areas. Subjects include environmental assessment, esthetic considerations, land use planning, underground utilities, infrastructure management, renewal legislation, transportation planning, and evaluation of the economic value of state parks. The Journal of Waterway, Port, Coastal, and Ocean Engineering presents information regarding the engineering aspects of dredging, floods, ice, pollution, sediment transport, and tidal wave action that affect shorelines, waterways, and harbors. The development and operation of ports, harbors, and offshore facilities, as well as deep ocean engineering and shore protection and enhancement, are also covered. Other topics include the regulation and stabilization of rivers and the economics of beach nourishment. The Journal of Aerospace Engineering promotes the implementation and development of space and aerospace technologies and their transfer to other civil engineering applications. Topics of interest include aerodynamics, computational fluid dynamics, wind tunnel testing of buildings and structures, aerospace structures and materials, advanced composite materials, dynamics and control, real-time data acquisition, space engineering and construction, lunar base construction, field and remote sensing, and robotics. Author Paul A. Seaburg, P.E., Ph.D. The Journal of Architectural Engineering provides a multidisciplinary forum for dissemination of practice based information on the engineering and technical issues concerning all aspects of building design. Peer-reviewed papers and case studies will address issues and topics related to buildings, such as planning and financing, analysis and design, construction and maintenance, codes applications and interpretations, conversion and renovation, and preservation. Author Jon E. Zufelt, Ph.D. Author James H. Garrett, Jr., Ph.D. Author Hilary I. Inyang, Ph.D. The Journal of Energy Engineering reports on the scientific and engineering knowledge in the planning, development, management, and finances of energy-related programs. The journal is dedicated to civil engineering aspects of the issues, sources, and programs that are either directly related to, or can ultimately contribute to, the production, distribution, and storage of energy. Multidisciplinary subjects are especially encouraged. Original contributions are encouraged in, but not limited to, the following areas: generation of electric power; nuclear power issues; energy planning (planning for generation capacity expansions, hydropower planning, network and transmission planning, reliability); energy policy and economics (financial and customer markets, regulatory and financial issues); energy development (solar power, renewable energy, waste-to-energy systems); energy systems operation (thermal and hydropower operation and optimization, scheduling, load forecasting, demand-side management); energy efficiency, reducing consumption of or conservation of energy; energy sustainability as related to energy and power production, distribution, and usage; waste management and environmental issues; and energy infrastructure issues (power plant safety, security of infrastructure network). Author Ross B. Corotis, Ph.D. The Natural Hazards Review stands on the realization that natural disaster losses result from interactions between the physical world, the constructed environment, and the character of the societies and people who occupy them. The journal is dedicated to bringing together the physical, social, and behavioral sciences; engineering; and the regulatory and policy environments to provide a forum for cutting edge, holistic, and cross-disciplinary approaches to natural hazards loss and cost reduction. The journal offers a means for researchers and practitioners working together to publish the results of truly interdisciplinary and partnered approaches to loss reduction and long-term disaster resiliency. Engineering topics covered include the characterization of hazard forces and the planning, design, construction, maintenance, performance, and use of structures in the physical environment. Social and behavioral sciences topics addressed include a range of issues related to hazard mitigation and human response as well as significant issues related to the built environment such as land use, building standards, and the role of financial markets and insurance. The specific physical science topics covered include those pertinent to understanding the hazardous character of the world and the performance of the structures that we build to accommodate our way of life. More importantly, the journal features papers co-authored by people from a variety of specializations who bring a cross-disciplinary perspective to the complex factors that contribute to disasters in today’s— and especially tomorrow’s—world. An important technical reference for researchers and practitioners from academia, industry, and government, it presents in-depth information on water distribution and transmission systems, wastewater collection systems (gravity and force mains), storm sewers and drainage structures/culverts, oil, gas, industrial, slurry, pneumatic and capsule pipelines, as well as conduit applications for power and communication cables.